Fishing with KY and Chef with Jimmy's! 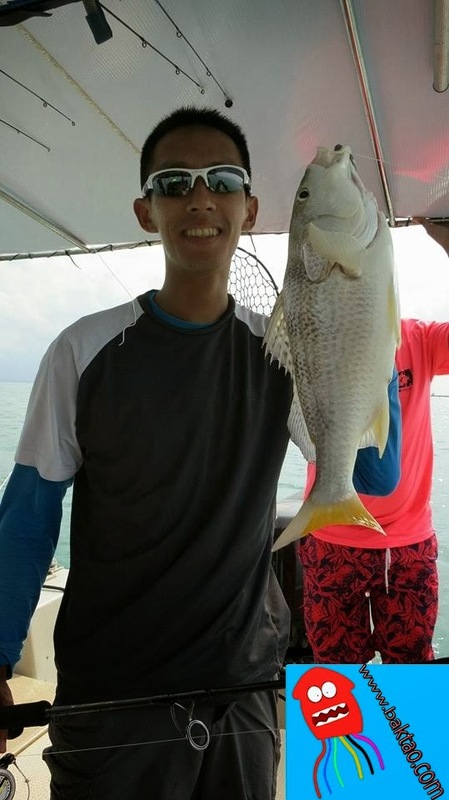 The earlier part of the day was spent at Changi Naval Base waters and the fishing was lackluster as we waited for the fishes to arrive. The fishes did arrive in sporadic batches and most of us broke our eggs with the infamous Golden Ah Seng (These catfish are priceless! You'll see why in my next fish and chips post! 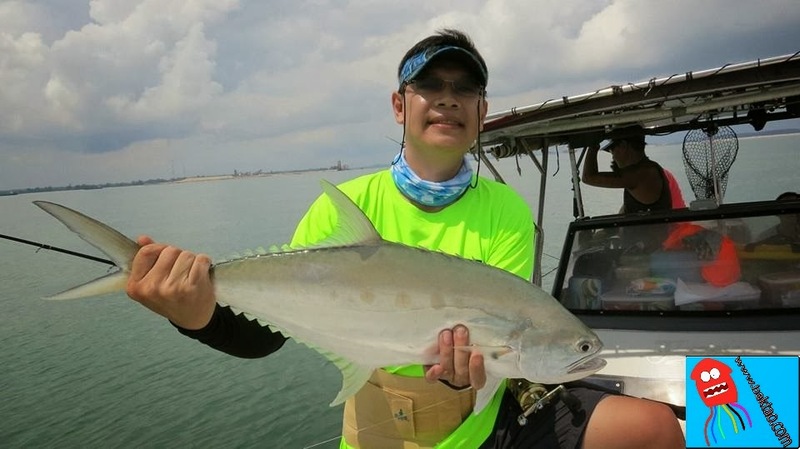 ), Mimi had something to shout about with when his micro jigging paid off with some Queenfish... It was tough work though and the sun was bearing down on us. A friendly Queenfish... didn't fight much! 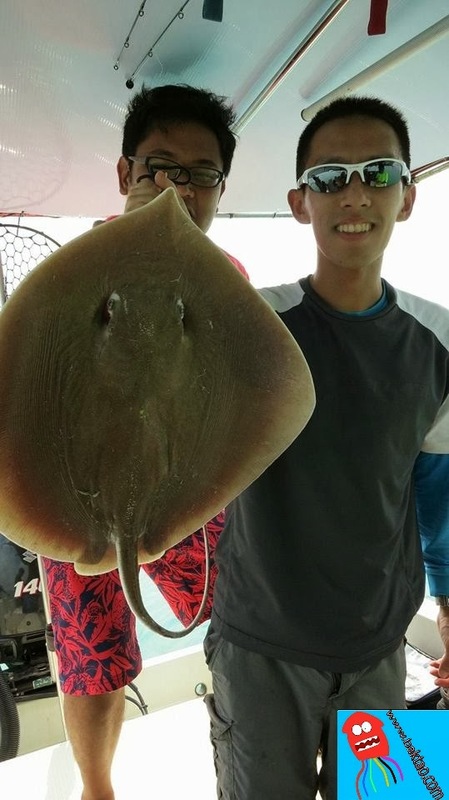 And when he brought up a good sized Stingray, you could see the... squeamish look on his face while I teased him with the ray's tail... hahaha! Biao made this into sambal ray! Good old tiger gao for dinner! The later part of the trolling session saw me lose a suspected monster MJ... 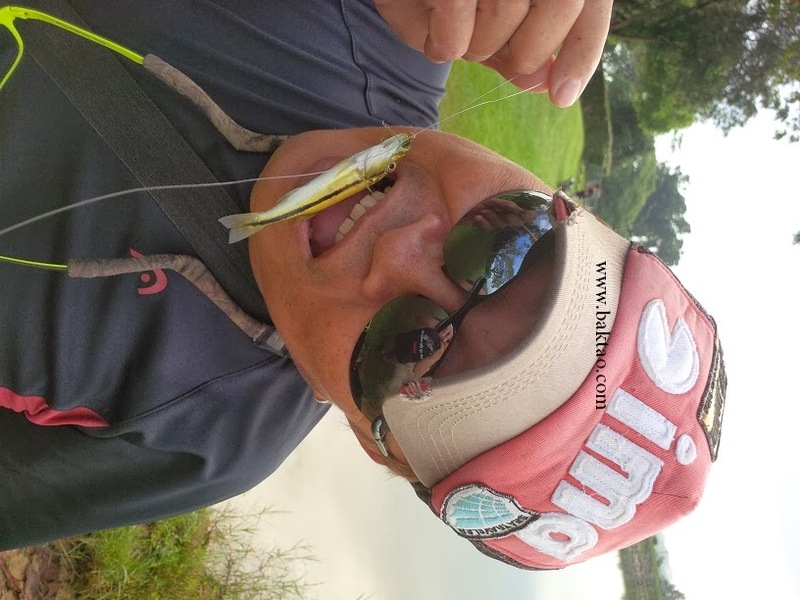 I was on 5kg of drag on the Daiwa morethan Branzino 3000 yet the line peeled like a freight train! Although, technically the strength of your reel drag decreases when line is paying out at a consistent rate, the feeling of getting "bullied" was unbelievable.... a few seconds later, the leader got cut on the rocks and I wasn't hopping around like a madman but just sitting down peacefully like a learned man. When you know you simply had no chance, one learns to be calm! Next up is Jimmy with cousin and cousin's girlfriend! Cheers! Oh goody! 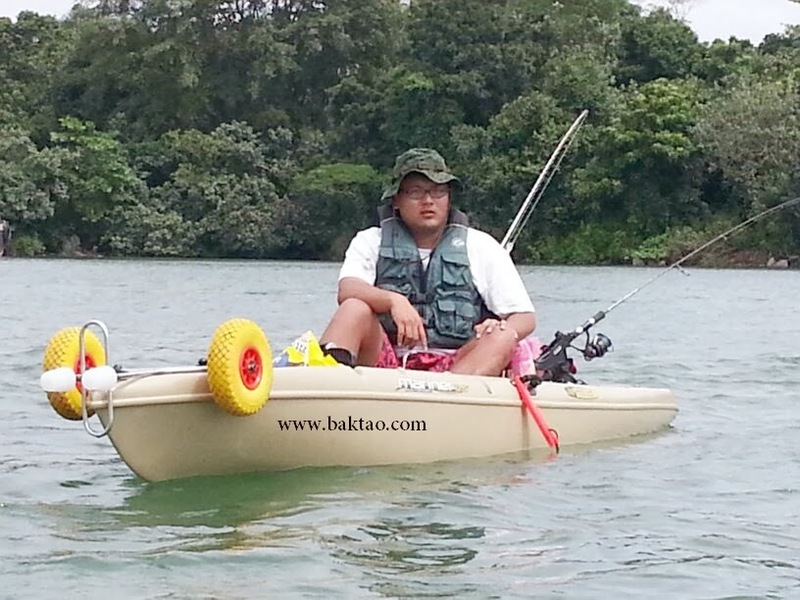 The boy in me could finally try out real kayak fishing in Singapore as a friend kindly agreed to let me have a try out in his Kayak! 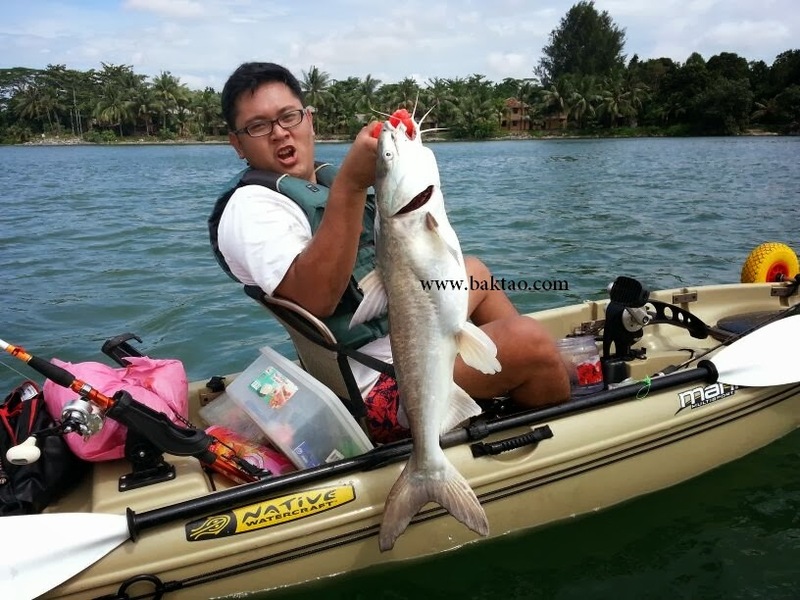 Kayak fishing is consistently picking up pace in Singapore and so far, the authorities look to be very relaxed and supportive of the small community of Kayak fishing anglers in Singapore. 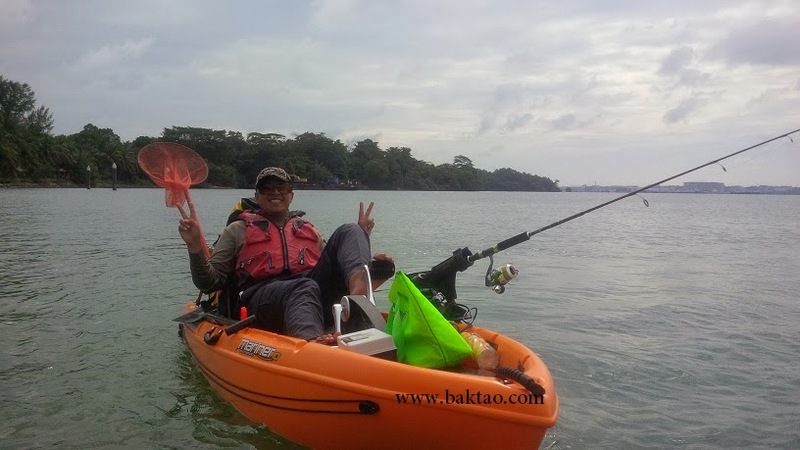 I hopped into my friend's native watercraft Kayak at Pasir Ris beach as Boatman Shawn (who also bought his own kayak) led me out on a special experience. 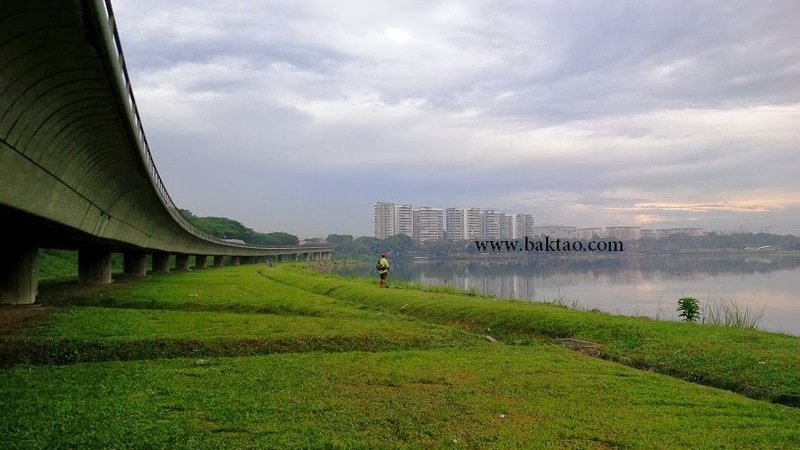 As we "launched" (a term used for getting our kayaks into the water from the beach) from the beach, we saw other kayakers taking to the water - some of which are stored at Pasir Ris beach watercross itself. Great to see local businesses support the community! Now, the term "launch" may seem a little heavy but I can assure you, it is no mean feat to "launch"... well except my friend lent me his kayak wheels too and off we go! 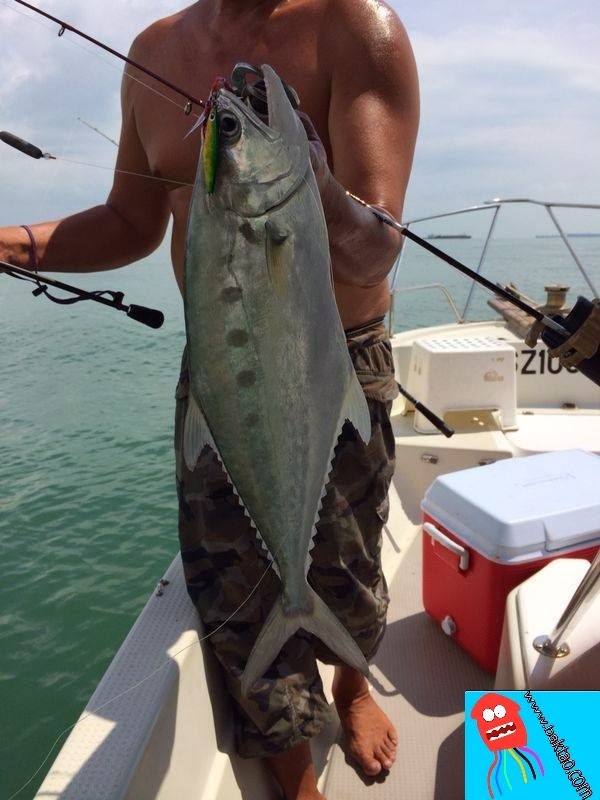 There's nothing like Kayak fishing is there? You're the captain of your own craft and you take all credit for your good luck or mishaps! Well except that for this trip, Shawn was the one "bringing me fishing", and he should be the one getting all credit (bad or good)! Boatman Shawn brought me to the ever popular Pulau Ubin which was a regular haunt for the kayak fishing community in Singapore. Pulau Ubin was a heaven since the brackish waters were rather sheltered from winds and the numerous kelongs around the island meant kayakers could take cover should there be rain or lightning. 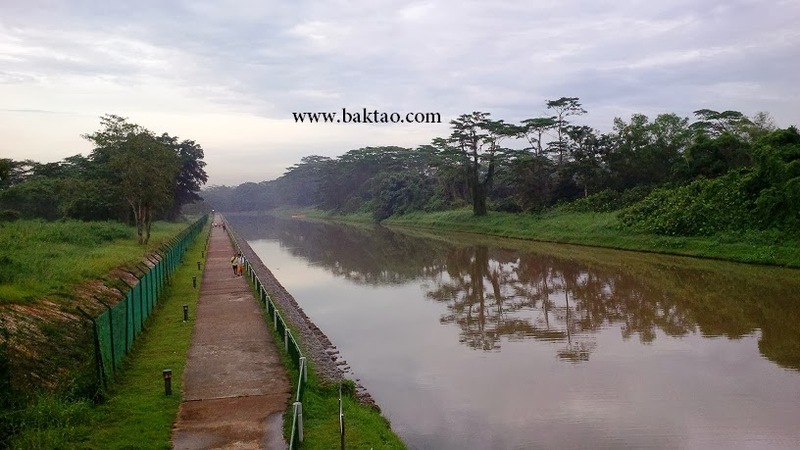 Popular spots around Pulau Ubin include Ketam Channel, Outward Bound Pulau Ubin, Punggol Dam, Lorong Halus and Pasir Ris in general (especially the blue barrels). Trolling on the Kayak was a dream come true as you could monitor your lure in real time as you paddle towards or parallel to obstacles. 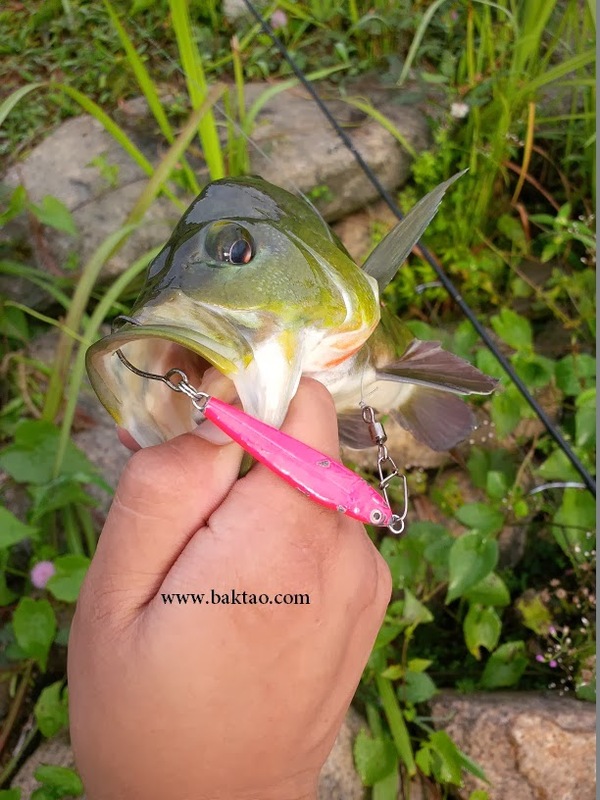 You must keep your Kayak in a fairly straight route to be doing this as going too far to one side will make your lure travel sideways and it's easier to get it stuck onto side obstacles. Eventually, I gave up as I focused on fishing a deep drop off that I knew contained some good fish. Shawn soon came up right beside me and we kept each other occupied as we talked up the events of the trip so far - numerous Baktaos aka Cuttlefish were taking the bait. We continued talking about the fishes landed around this spot and just then, my rod soon did the customary crazy bend and the Morethan Branzino 3000 sang! That was the first time I saw it sang and as the fish ran, my Kayak actually got dragged around by it! Shawn also contributed by doing his usual "Hee Hee Hee"... as he fiddled around with his camera. Well, what did you expect? A 7kg KBL on my first trip?! Small tiger. Good sign that they're breeding! Well, that's all folks, I hope my adventure was exciting for you (as it was for me!). The next posts will show me doing up some good ole beer battered fish and chips from the Duri! Yes, you heard me right... 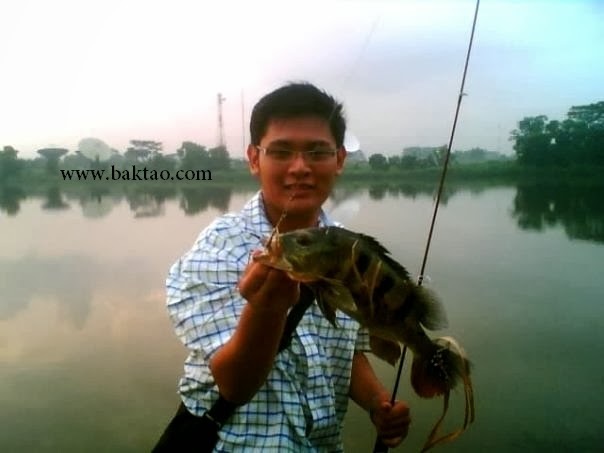 I will show you how to now look at the catfish with the intention of bringing it back! 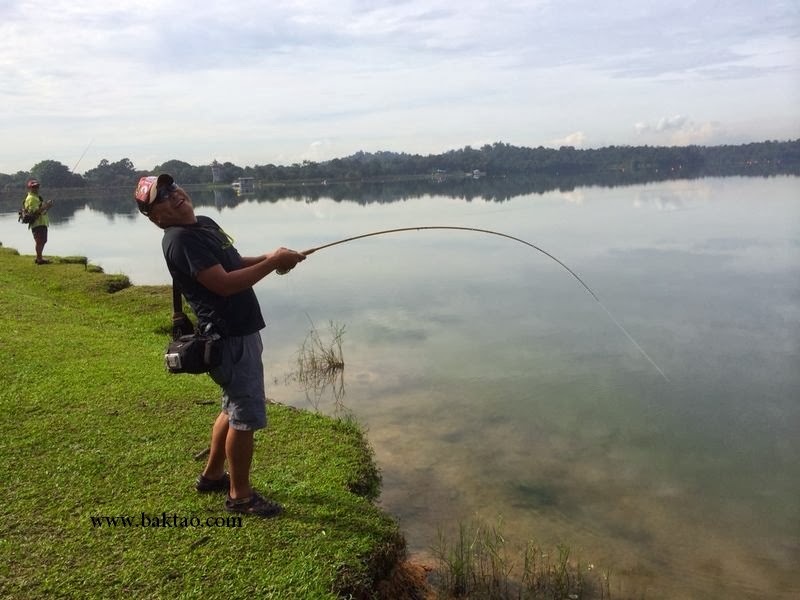 How long does it take for a reservoir fishing spot to recover? This question is often pondered upon by many avid anglers. Surely the slow but steady education amongst the fishing community can finally bear some much needed fruits? 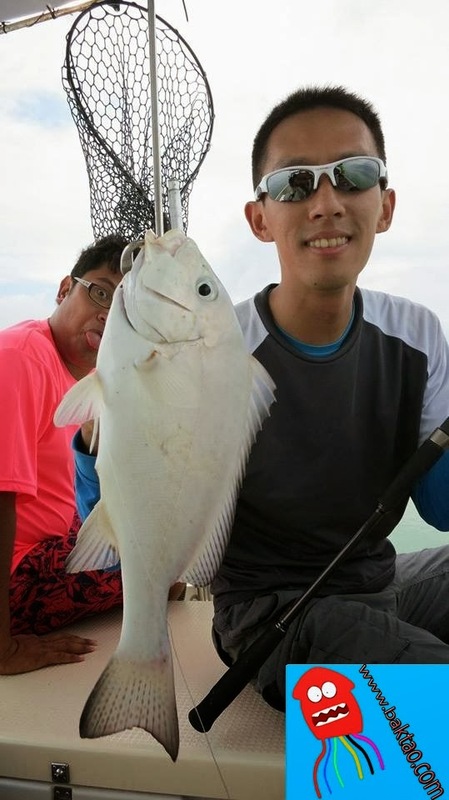 Surely all that talk with PUB about fishing licenses, bag limits and opening up more legal fishing areas in Singapore will bear some fruits? 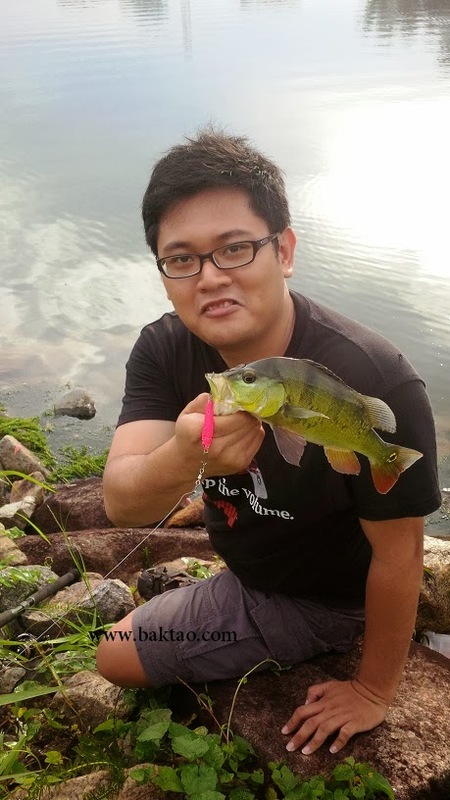 The answer is that we are still far from our ideal fishing situation in Singapore when it comes to freshwater legal areas. There simply isn't any hard and fast solution to our waters simply because it is unique. Our catchment areas are made up of both legal (public) areas, military areas and park areas. That's a whole lot of users and stakeholders! The water is deep and water levels are also seasonal. The most damning statistic however is that many of our fishes aren't native and are introduced. The Peacock Bass, Temensis and Snakehead are all introduced. 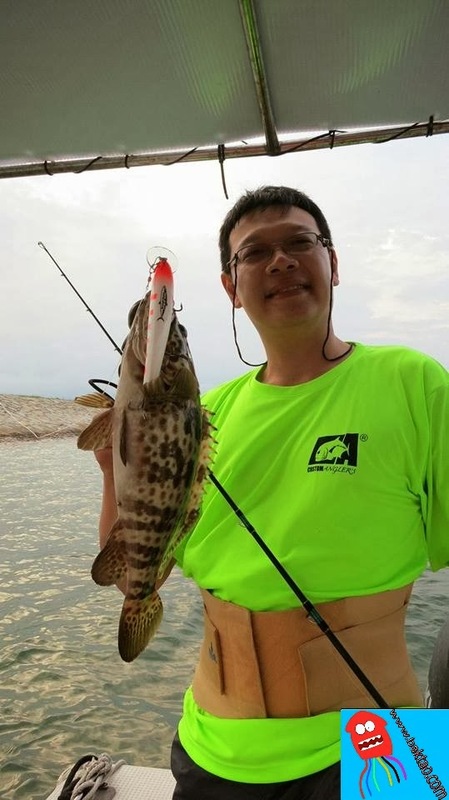 Combine those fishes with our artificial catchment areas (it's main purpose is to actually supply Singapore with fresh water) and our modern angling society gives us have a huge conundrum because there are no ready made or proven answers out there. 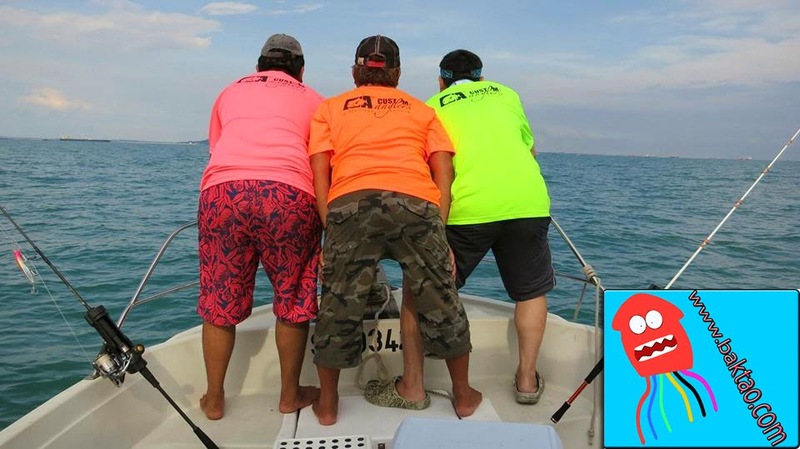 The best examples that anglers usually quote when fighting for fishing rights is "Bag Limits", "Introduce fish stocks", "Fishing Seasons" and "Size Limit"... but are they really good ideas that are thought through or are they just defensive comments thrown up to convince authorities to act. My opinion? All these are thrash talk until we actually conduct good strong studies on how to follow this through (I do not believe anyone can come up with such a study since there are so many ever-changing variables). Why? Let me quote one recent theory that I seem to have picked on. The fishes in our reservoir are highly migratory, hunt in packs and are "intelligent" to avoid "wary" areas. I have seen this on numerous occasions and while I cannot back my observations with solid evidence, this is what I have to say... I have seen Temensis roaming the catchment areas in huge schools, migrate to one part of the catchment area to another in great numbers... perhaps because of seasonal factors or water condition. 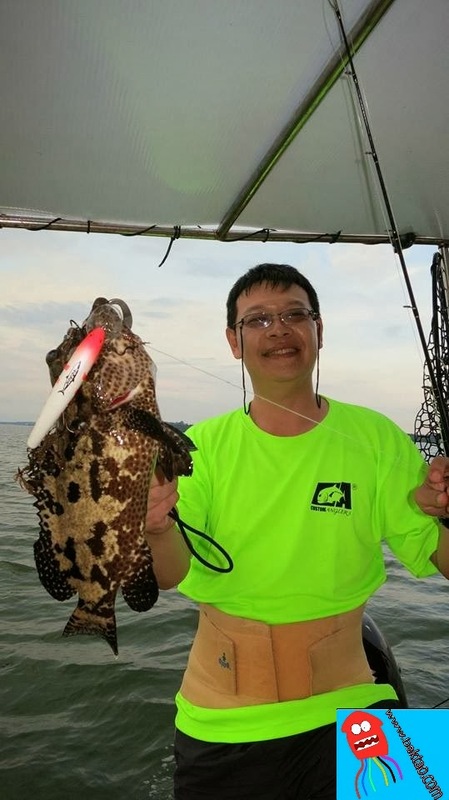 Certain legal areas like Upper Seletar Reservoir may seem barren to the layman outsider but on some days, huge numbers of fish pass through the area (one angler can catch 30 fish in half an hour on lures!) but this is for a short while only. 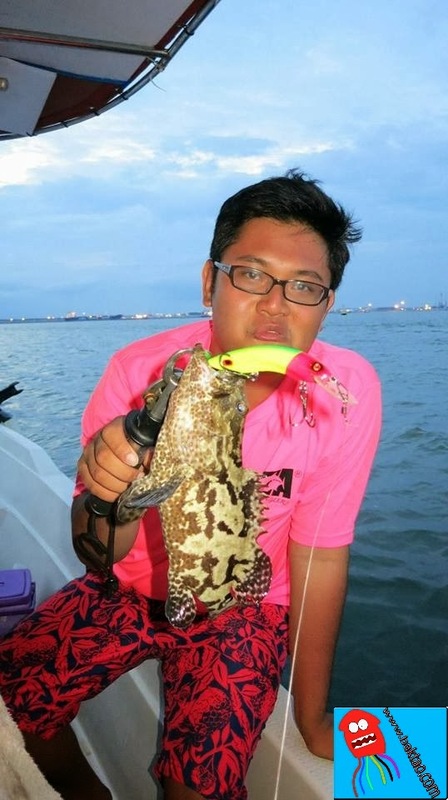 In certain areas like Lower Seletar Reservoir or Kranji Reservoir, certain fishes actually avoid the legal areas or are wary when taking lures. This is experienced by many laymen lurers and lurers actually comment that the fishes are here but they are just "spooked". My take on this is that the fishes actually somehow have an inkling of the massive fishing activity here - be it from lurers (loud poppers, CNR impact on fish) or baiters. Don't ask me how, but somehow, the fishes stay away and they retreat to the deeper pockets of less fished areas of the reservoir. Ok I could continue on but enough of that bull crap. The best indication of whether the fishing has improved will be to go fishing! 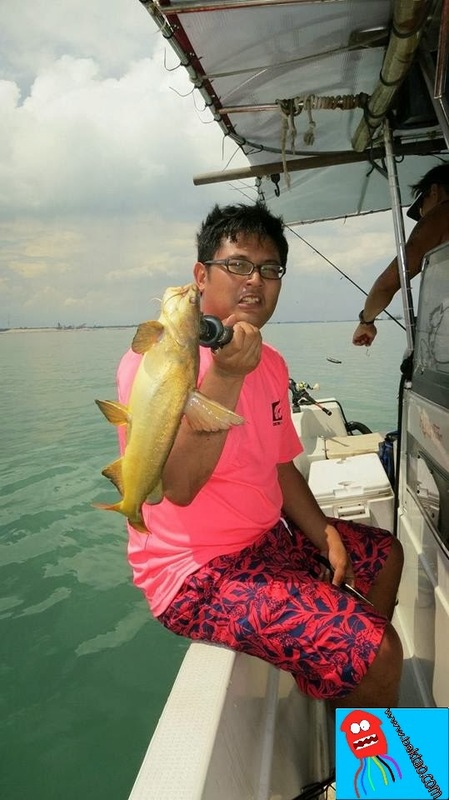 So off we went to our legal fishing adventure with Jimmy Lim (famous charter captain at Punggol Marina) to Lower Seletar Reservoir. This place was a "sure have" spot back then! Our catch that day was expected to be bad and it certainly was! Water levels were low, weeds were overgrown and the water was murky. 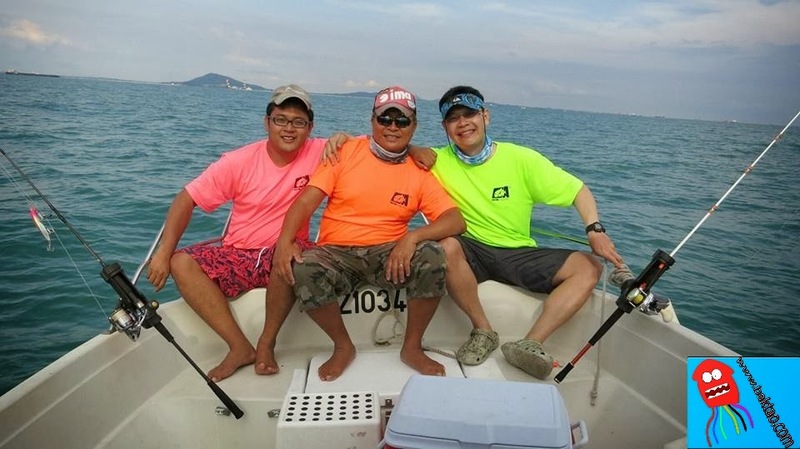 Nevertheless, a good number of anglers were still trying their luck. 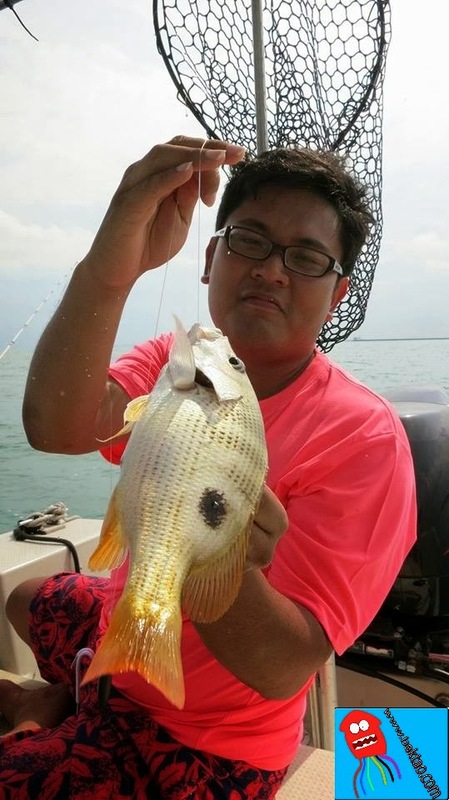 After chugging endlessly with my Yozuri Surface Cruiser (sinking lures were totally out due to weed condition), I gave up and employed a "cheat". 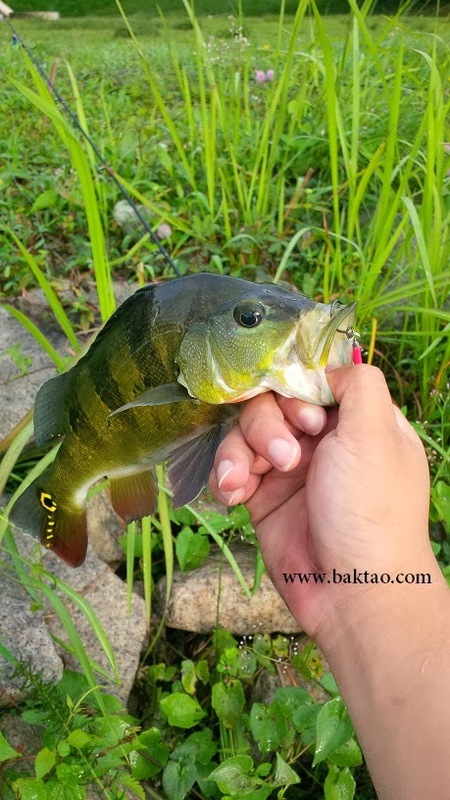 I almost knew I would get some good Peacock Bass since they were around and Peacock Bass usually loves fast moving small lures, flies or rubber. 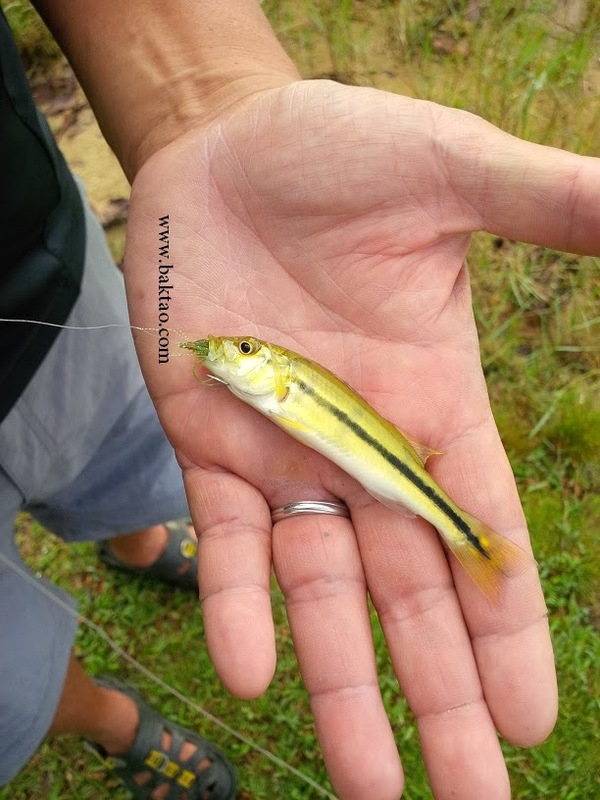 I modified my technique to suit the terrain and retrieved a pink micro jig (to imitate toman fries) quickly on the surface like a spinner bait except that I would pause and jerk the fluttering jig to make it seem that the toman fry was injured and trying to flee but then it couldn't do it consistently but ended up sinking (fluttering) at random pauses. It worked! 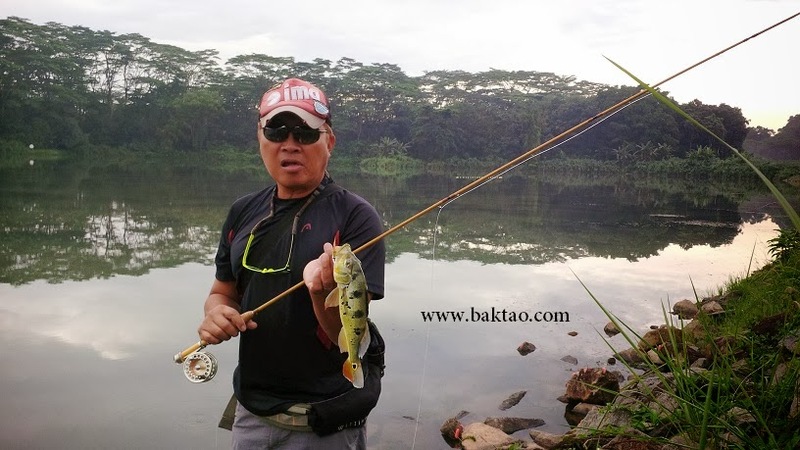 I had many hits with small Peacock Bass (the size has decreased to a mere murmur) and had fun with them on not really light tackle (as I was popping for Toman). 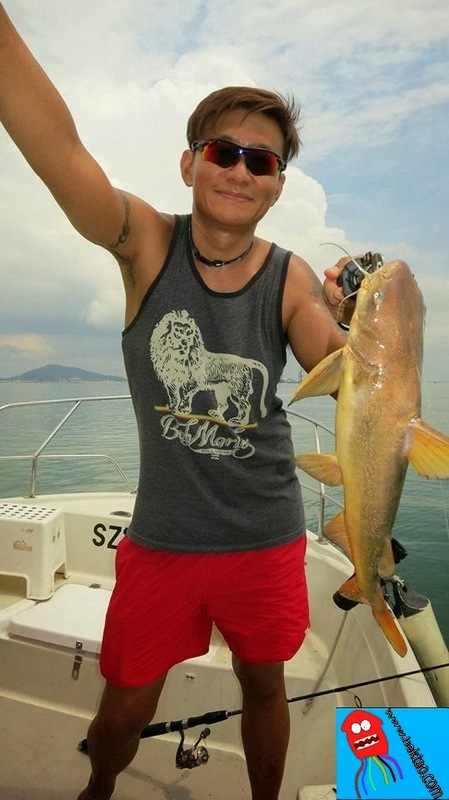 I guess it still created some cheer for the crew as catching small fishes at legal area was akin to striking 4D on Ibet. The kind of cheer was subdued and easily forgotten. 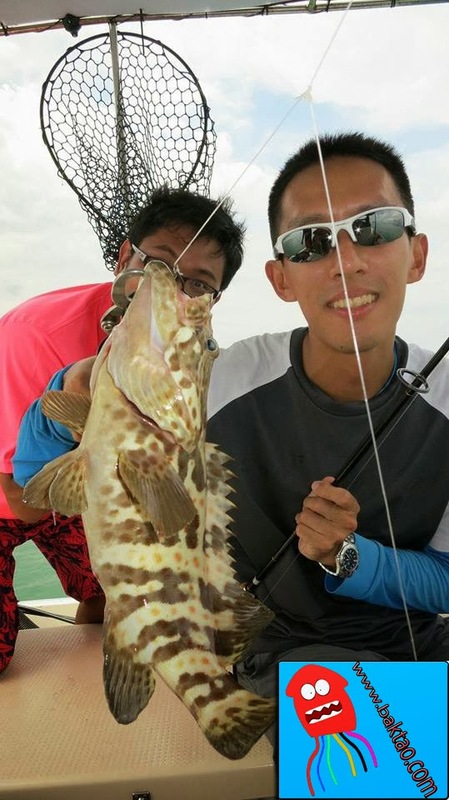 +1 for the legal fishing areas of Singapore! The conclusion? Yes up down left right, LSR legal area has suffered in catch rate. Note that I do not mention "overfishing" because I truly believe it is not because they are declining in numbers but they are simply wary of the legal areas. See that bend on his fly rod? 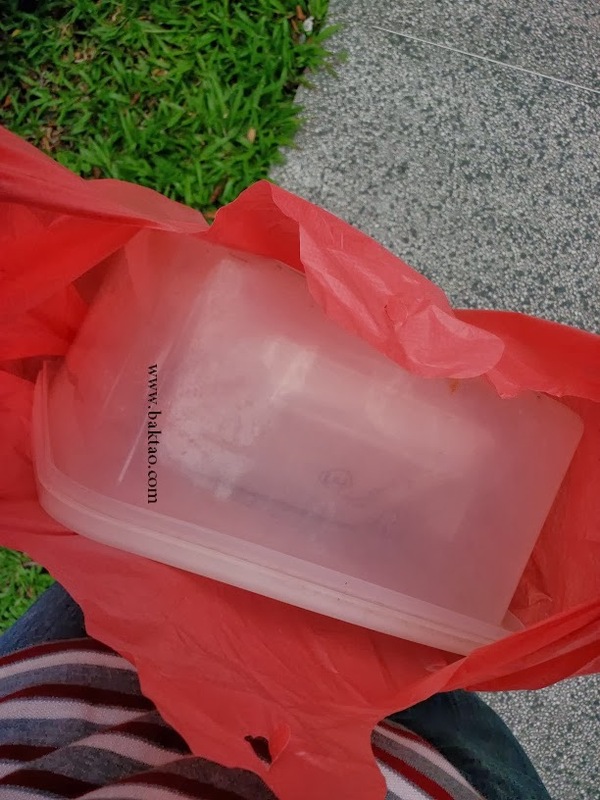 Here's another non fishing related post which has got to do with the Durian! 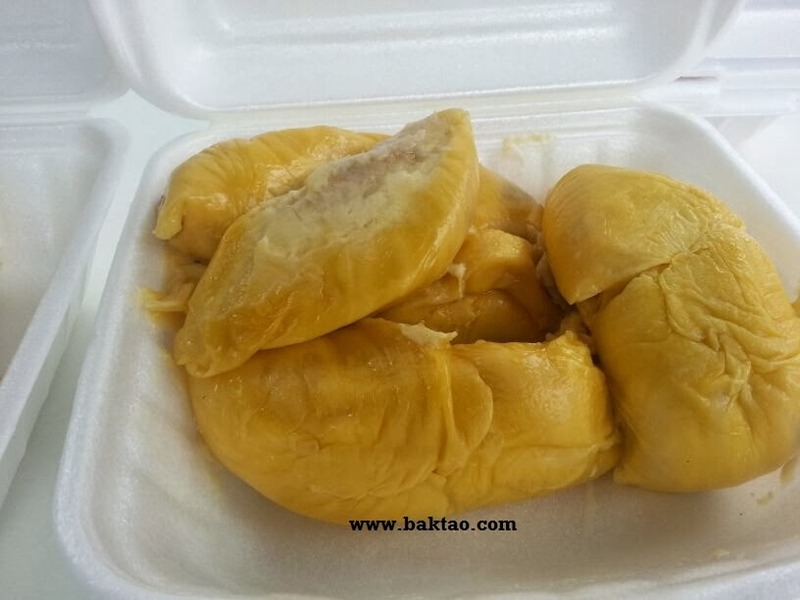 Having picked kampong durians occasionally for the past few weeks, I was itching for the "real thing" such as Mao Shan Wang, D24, XO, Red Prawn... 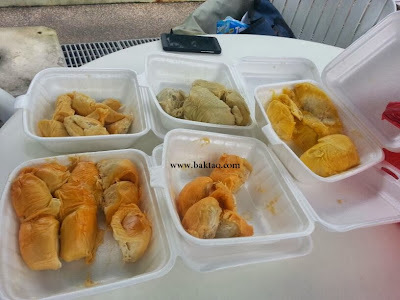 Premium quality durians always wins kampong durians hands down! 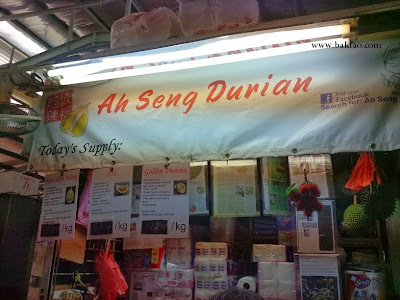 It was then that I stumbled upon the famous Ah Seng Durian at Ghim Moh Market. I browsed through their Facebook account and found the information both useful and interesting. The fact that they put up the information shows the sincerity they have to ensure their customers get their money's worth of Durian! So I wasted no time and at around midnight, placed my reservations through Facebook (for collection the next day)! The one and only Ah Seng Durian! I took the public transport armed with ziplocks, airtight containers and even a soap bar the next day! 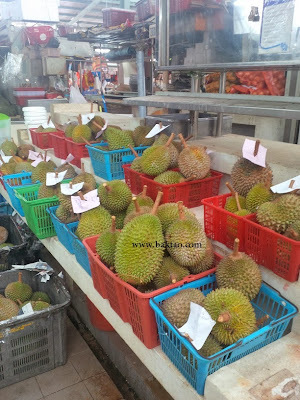 When I finally reached the shop, I was amazed with the crowd there to collect their reserved durians. In fact, walk in customers were told they were sold out! 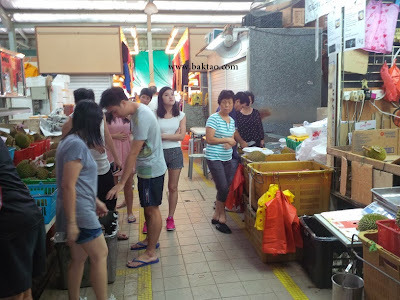 A crowd at a durian stall?! Singaporeans rarely give good stuff a miss and the easiest way to check out the "worth and shiok" factor of a stall are long Qs! 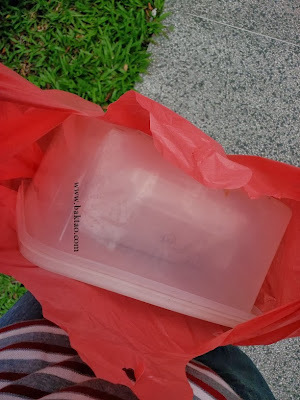 Ah Seng opened the durians that he set aside for me and I was yet again pleasantly surprised that the shop offers impulse sealing with airtight plastic at no extra cost. This was going to help me on my public transport journey! MSW at $12/kg. Outrageously cheap! 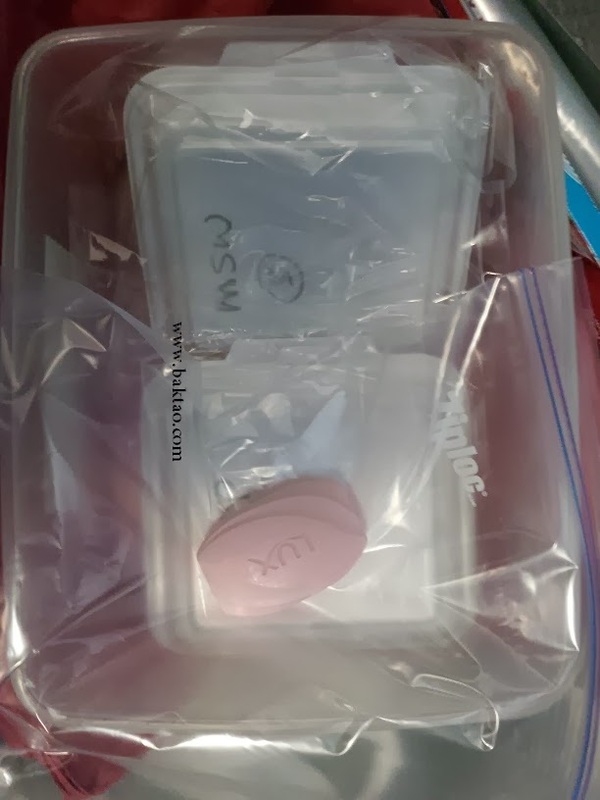 My improvised ziplock, airtight container and bar of soap! Sadly the durians that I wanted weren't all available but the Mao Shan Wang was still available so that was good news! The ones not available were XO and Green Bamboo! 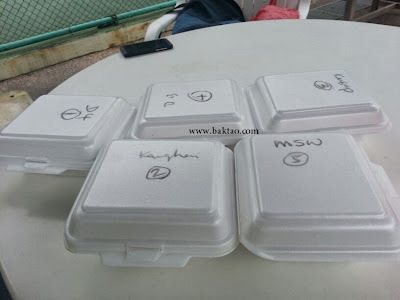 Ah Seng had also specifically told me to eat the various durians in a sequence that he wrote down for me starting with (1) D4, (2) Kang Hai (3) Kasap Merah (4) D13 (5) Mao Shan Wang. Ah Seng was kind enough to pose with me for a photo too. The entire homely service made me feel very welcome at the stall. 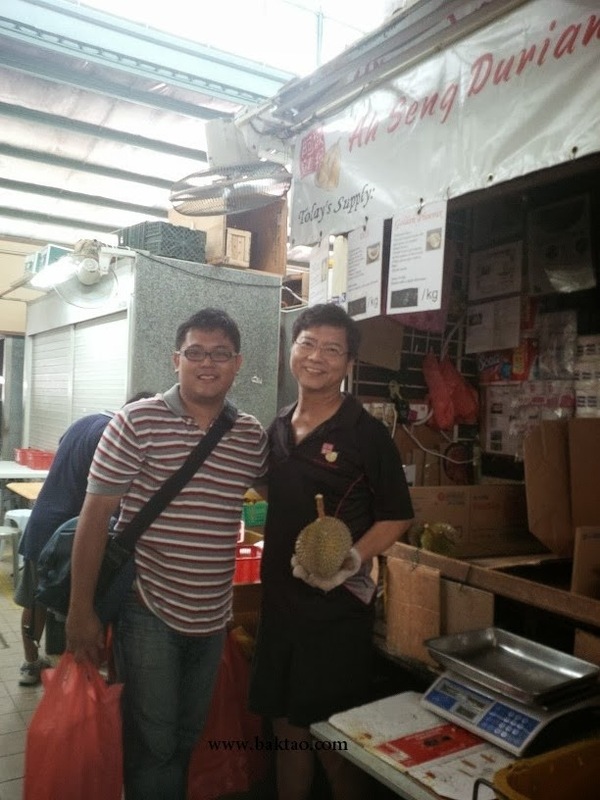 It's tough to find durian sellers with integrity these days - many whom probably only want short term business. 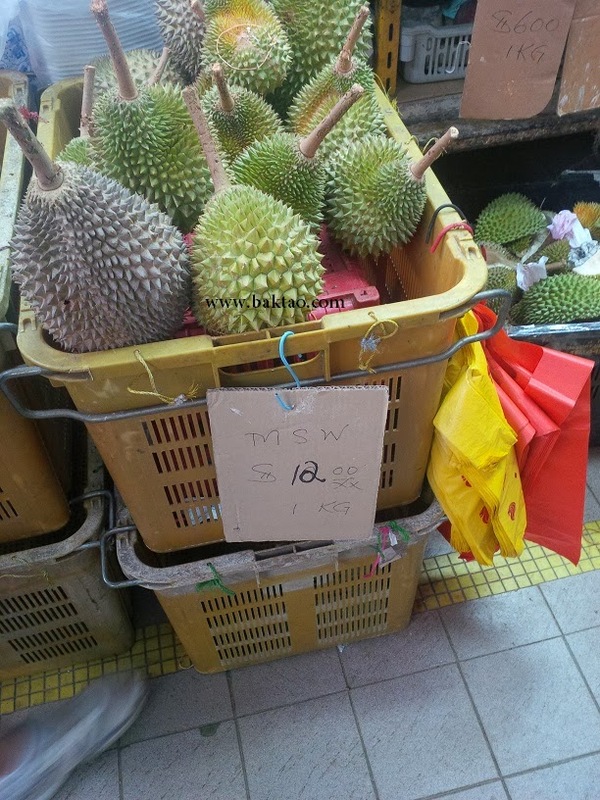 Many of them only open during the seasons, pre pack the durians for display and the worse ones sell you rotten ones or unripe ones! Some even pass off cheap durians as premium ones! Posing with the famous Ah Seng! 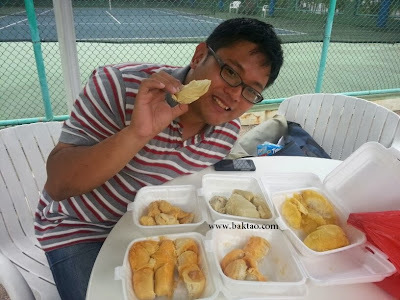 After getting my durians, I had it with loved ones who were intrigued about eating so many different cultivars. It was similar to Paradise Dynasty flavoured Xiao Long Bao in which you must eat them in a certain order! I loved the bitter D4 the most while thed loved the small seeded gang hai! And of course, the creamy non fibrous Mao Shan Wang was the killer! See the numbers? Eat in order! The cream of the crop. MSW! Various durian cultivars for makan! Ok lah I had to pose too. It's not everyday you get to eat good durians!